C&M Transport, based in Painesville Township, OH, is the transportation and logistics service that is small enough to know you, and big enough to serve you! We are a 7 time TEANA Company of the Year winner and Sylectus’ Company of the Year for ’05-’15. Choose us to handle all of your transportation and shipment needs – we are available 24 hours a day, 365 days a year! C&M Transport will provide late model equipment to expedite your critical shipments across the state or across the country. We provide door-to-door air charter service with the same personal communication our customers have become used to at C&M Transport for the past 25 years. C&M Express Logistics provides multiple 3rd party logistic (3PL) services for small to medium sized businesses. 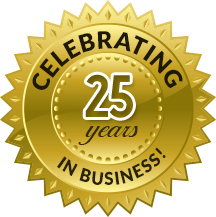 For more than 25 years, C&M Transport has been providing expedited carrier services nationwide for companies across the US and Canada. We drive straight trucks and work with clients, distributors and vendors directly to make sure all their transportation needs are met in a timely fashion. We work on a national level and have transportation experts across the country to be able to provide you with immediate assistance, 24 hours a day, 365 days a year. Our customer service is our highest priority and we will make sure your shipment gets where it needs to go, whether it’s a scheduled regular shipment or an emergency shipment that needs to get there tomorrow. We allow you to know where your shipment is at all times. Track and trace your shipment by contacting Dan now!